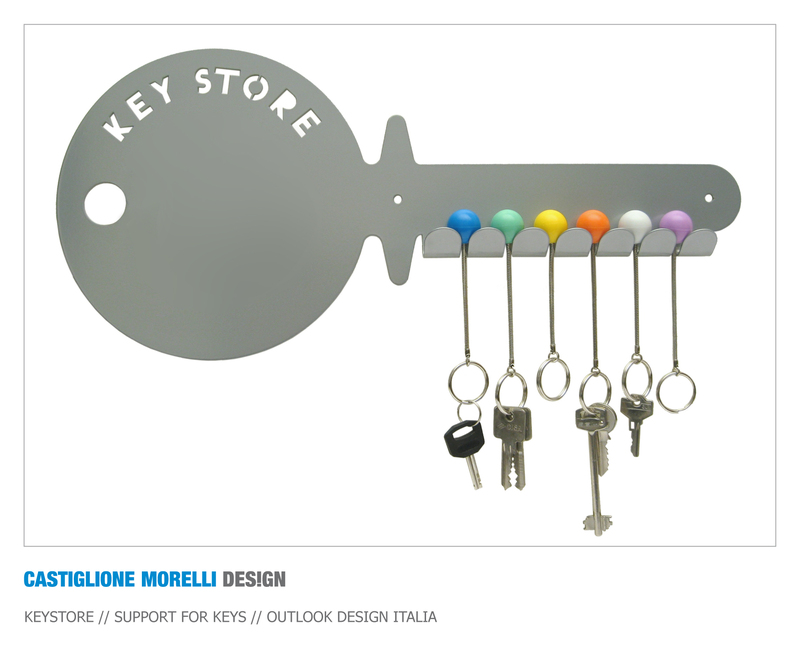 Key-store is a support for keys to put on a wall. It’s a metal shaped product and it displays clearly its function. It's ideal in the home's entrance. 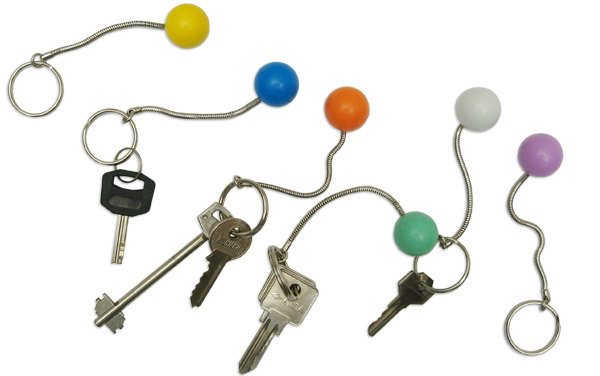 The six key rings are made by a metal ring and a rubber sphere. 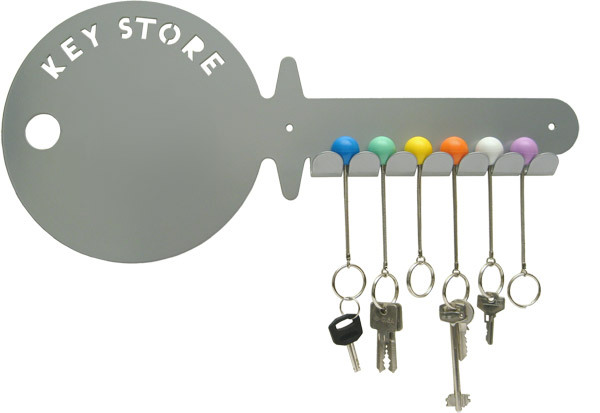 Its colour helps us to recognize quickly the different bunches of keys. 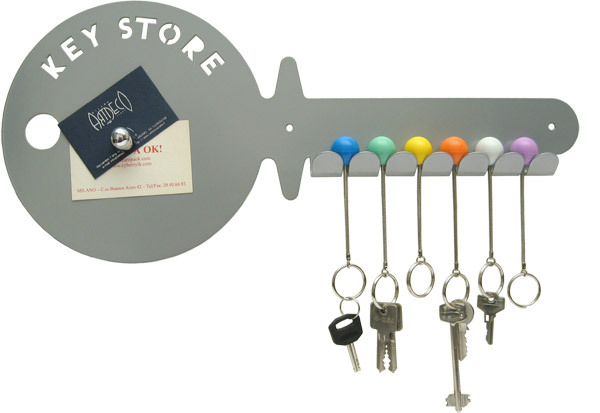 It's very useful to keep all the bunches of keys tidy and to make a note of something using the magnets.